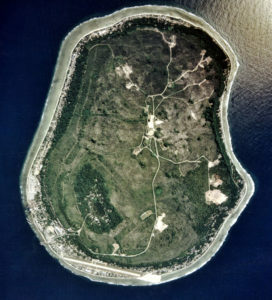 The tiny island nation of Nauru once had one of the highest GDPs per capita on Earth. Today, the country has been stripped of resources and impoverished. Nauru’s booming economy during the 20th century was based on strip mining away the small island’s phosphorous-rich bird guano soil. The money flowed in, but a series of bad investments, con jobs, and one very bad London musical left the island impoverished. Nauru turned to money laundering and selling passports to foreign nationals to raise funds, but to no avail. Today, the island and its economy are both depleted shells of what they once were.